Twenty-three Marshall Simonds Middle School students received honors at the 2012 Scholastic Art Awards. Over 14,000 pieces of art from Massachusetts’ students in grades 7 through 12 participated in the competition. 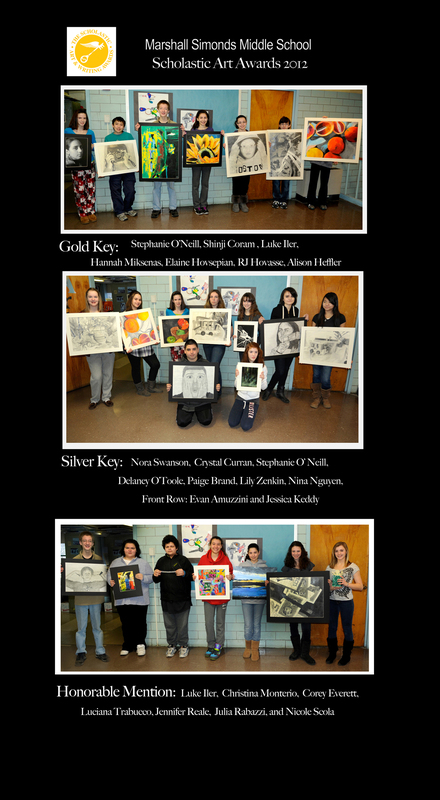 All Gold and Silver Key honorees will be on display at the State Transportation Building beginning February 13th. All students winning Gold Keys will be advanced into a National competition, held in New York City.